I’ve got two fun US transit infrastructure data visualizations for you. 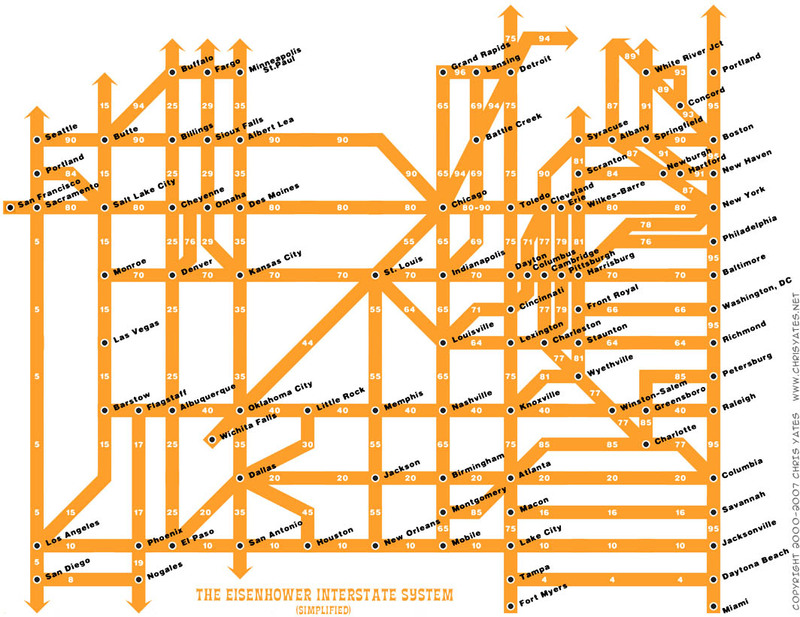 OK, everyone that’s still here, check this out: a highway system map done in the style of a subway system map (from mathowie) | a hypothetical high-speed rail map with transit time estimates. That interstate map actually seems weirdly useful. I’d keep one of those in my car!